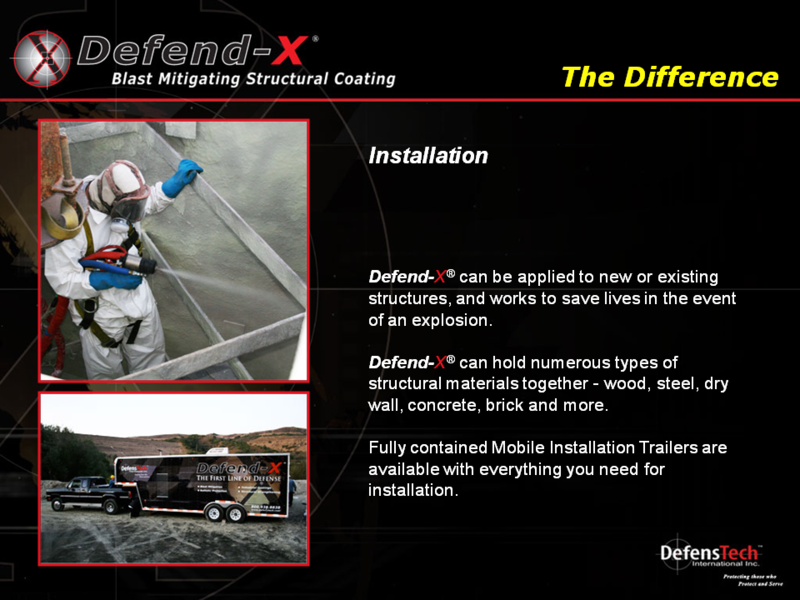 Defend-X® can be applied to new or existing structures, and works to save lives in the event of an explosion. Defend-X® can hold numerous types of structural materials together – wood, steel, dry wall, concrete, brick and more. Fully contained Mobile Installation Trailers are available with everything you need for installation.